I missed the start of this campaign: for the first ten days of April I was in France, in a house without Wifi or even a telephone. Coming back to the UK on April 10th I scanned the papers and remembered why I hate the British media so much during General Election campaigns. It’s as if everyone is covering the election with both hands tied behind their backs. There’s very little objectivity, proportion or historic perspective. The broadcast media – and in particular the BBC – are so terrified of appearing biassed that they rarely attempt any serious analysis at all (Radio Four’s The Week In Westminster, by far the best radio programme on British politics, has been replaced with Campaign Sidebar,an idiotic half-hour of puff from Hugo Rifkind). As for the print and online media, editorial lines are stuck to with theological rigidity: the Sun and the Mail unveil front pages saying Ed Miliband lost leadership debates before the debates are even finished, while the Mirror sycophantically gushes about Miliband “looking more prime ministerial every time he appears on the telly”. The heavyweight Guardian, for its part, seizes on one rogue poll showing a six-point Labour lead and splashes with the headline The Day the Polls Turned. Almost all media coverage depends on a rehash of several myths about this election. Let’s look at them – in no particular order – one by one. Except it isn’t. Election campaigns in which the two main parties are more or less tied in the opinion polls are just as common as campaigns in which a clear winner is apparent from the start. Opinion polls predicting a close result, or a dead heat, are often wildly wrong (as MORI’s founder Bob Worcester used to say so often, “polls are a snapshot of opinion at one moment in time, not a prediction”). There are a number of decisive British post-war elections which were predicted to be a lot closer than they turned out to be (if you don’t believe me, have a look at the data on the UK Polling report site for every British election since 1974). With hindsight everyone thinks it was obvious that the Conservatives would win in 1979: but in the last week of the campaign the Tories were ahead by only 2% in one poll, and trailing Labour in another by 0.7%. Everyone says with hindsight that Neil Kinnock (too Welsh, too left-wing and too talkative) could not have won in 1992, but before the votes were counted most pundits had predicted that he would win hands down. Of the final ten opinion polls in the run-up to the 1992 election, Labour was ahead in eight (in one case by six percentage points), neck-and neck in another and behind in only one. The BBC exit poll in 1992 – based on a huge sample of 14,000 people – predicted a hung parliament with the Conservatives 25 seats short of an overall majority (an outcome that could well happen this time if there’s a disappointing showing by Labour). We all know what happened when the real votes were counted: the Tories won easily, if not by a landslide, with the largest number of votes ever polled by any party in a British general election – just over 14 million. The supposedly hapless John Major garnered almost half a million more votes for the Conservatives in 1992 than Blair did for Labour in 1997. Likewise it seems obvious in retrospect why the Tories did not win in May 2005 (Michael Howard was not fresh enough and carried too much Thatcherite baggage). But at the time the polls saw the election as a toss-up: several opinion polls in April 2005 saw the Tories ahead, and even in the last week of the campaign several more put the Labour lead as low as 2 or 3 percentage points. It’s easy to forget, ten years on, just how worried Labour were that their supporters would either stay at home or – fed up with Blair’s blunders in Iraq – register a protest vote for the Lib Dems. Even the “landslide” Tory victories of 1983 and 1987 elections were not entirely predictable. The Conservatives were always comfortably ahead in the year up to the 1983 election. But just before that – in the spring of 1982, before the Falklands war changed everything – Labour was briefly ahead in the polls. In the run-up to the June 1987 election, the Tories were ahead – but only in the last five months, and often only by a few points. Until February 1987 the Kinnock-led Labour party was often ahead in the polls. Even in 2001 – an election that with hindsight was a lost cause for the Tories – the polls predicted a much closer race until the last few months. Nine months before the election in September 2000, amid fuel protests and the fiasco of the Millennium dome, Hague was ahead by eight points in one poll. And in 2010 – an election that everyone thinks Labour was always doomed to lose – two polls in the last ten days of the campaign put the Tories ahead of Labour by only one percentage point. With the Lib Dems surging after a strong showing by Nick Clegg in the TV debates, it was not clear at the time that Labour would suffer more than the Tories, and a last-minute comeback by Gordon Brown could not be entirely ruled out. History teaches us two key lessons: it’s very common for polls to predict a dead heat throughout an election campaign. And it’s very common for the polls to be wrong, and for an unpredicted, decisive victory for one party to follow. A hung parliament in 2015 may be pretty likely, but it’s not inevitable. Well it might have been a few months ago, with both main parties often polling below 30% apiece. But now Labour and the Tories are often both polling above 35% each, with minor parties falling further and further behind. According to most pollsters, UKIP peaked at about 17% back in January and hardly any polls put them at above 15% now. Likewise, the Greens have sunk in most polls from 8-9% in January to at most 6-7% now. Historically the two parties are still a lot weaker than they were for most of the twentieth century (in 1951 the two parties polled almost 97% of the vote between them). But as Peter Dorey of Cardiff University has explained, their decline has fluctuated and has not been continuous. And the decline is nothing new – as long ago as 1983, with the surging SDP-Liberal Alliance, Labour and the Tories polled no higher than 70% between them. The traditional pattern – apparent at all elections since the emergence of the Alliance in 1983 – of the two main parties polling 30-40% each with a third, challenger party at about 15-20% looks set to be repeated. 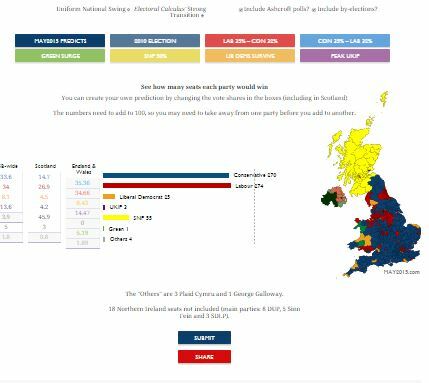 The only difference this time is that the third party is not the Lib Dems any more, but the SNP north of the border and UKIP south of it (though it is looking increasingly unlikely that UKIP will poll above 10% across England). It’s quite possible that Labour and the Tories could poll more than 70% between them on May 7th, well above the combined 65% they notched up in 2010. So far from seeing a further collapse in support for the two main parties, the 2015 general election could see a revival in them. In Scotland of course the SNP looks likely to be the first party, not the third, but if you subtract the SNP from the equation and focus on England and Wales alone, May 2015 looks like a pretty standard two-way fight between Labour and the Tories with UKIP, the Lib Dems and Plaid Cymru lurking on the coastal fringes here and there. An associated myth that’s often bandied about is that election turnout has been steadily falling at recent elections, and is likely to fall further this time. In fact the opposite is true: turnout did hit a post-war low of 59.4% in 2001 but it rose to 61.4% in 2005 and rose again to 65.1% in 2010. These turnouts are still well below the figures seen in all previous elections between 1945 and 1997 (which varied between 71% and 84%), but most pollsters predict a further increase in turnout in 2015, quite possibly back to the 70%-plus levels seen before the Millennium. We don’t hear so much of this particular myth now that memories of the proposed boundary changes to reduce the number of MPs from 650 to 600 – which were ditched back in 2012 when the Liberal Democrats withdrew support – fade. But it still does the rounds, particular in the more right-wing media. In fact, as George Eaton explained very succinctly in the New Statesman a few months ago, other factors – lower turnout in Labour seats, and more tactical voting by left-leaning voters – are the biggest reasons why Labour tends to get more MPs than its nationwide vote share suggests, not constituency boundaries. By and large Labour seats are smaller in terms of population (and geographically, as they are normally more densely populated). But it’s only a marginal factor. And while there are some safe Labour constituencies with small electorates, there are just as many Lib Dem and Tory ones. Indeed, Of the five constituencies with the smallest electorates, all are in Scotland or Wales and none are currently Labour-held (if you are interested, the five are the SNP-held Na h-Eileanan an Iar, aka Western Isles ( 21,780 voters), the Lib Dem-held Orkney and Shetland (33,085) the Tory-held Aberconwy (44,593) and two Plaid Cymru seats: Arfon (41,198) and Dwyfor Meirionnydd (45,364). At the other end of the scale, of the five constituencies with the biggest electorates three are Labour-held – East Ham (90,674), Manchester Central (90,110) and Ilford South (87,765) – along with two Tory ones: North West Cambridgeshire (88,851) and the Isle of Wight (109,902). There may be a case to split the Isle of Wight into two (probably Conservative) constituencies and give Cambridgeshire one extra (probably Conservative) MP. But there’s just as strong case for an extra constituency or two both in Labour-voting Manchester, and in Labour-voting East London. Even if there is a slight pro-Labour bias in constituency boundaries, it is more than outweighed by recent changes to electoral registration rules (of which more later), which hit Labour-leaning demographic groups much harder than others. If Labour does win the 2015 election outright it will be down to lots of hard work in marginal seats, not rigged boundaries. Labour hasn’t been unlucky since the last election. If anything it has had a longer run of good luck than any opposition in decades. 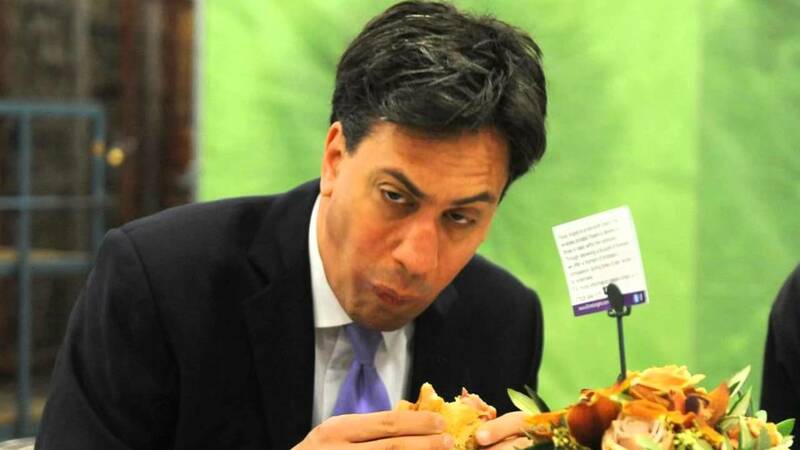 The very fact that the right-wing newspapers obsess over how Ed Miliband chews a bacon sandwich, or how many kitchens his house contains, shows that there is no serious mud they can throw. 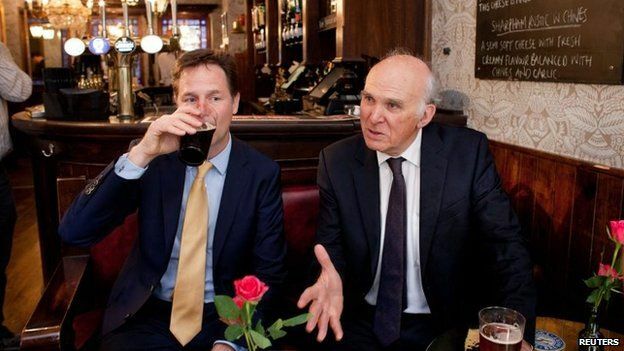 Miliband’s failure to mention the Deficit in his improvised 2014 conference speech was seen as an epic blunder, but compared to many things that can go wrong at set-piece speeches – hecklers, falling off the stage, failed autocues, or drying up completely – it was small beer. The Labour frontbench since the 2010 general election must be one of the least accident -prone in British political history. There has been no leadership challenge, no financial or sleaze-related scandals, no resignations on a point of principle, no public rows and only a handful of sackings, with the victims (like the forgettable Meg Hillier) going quietly into backbench obscurity. The only big “scandal” – the firing/resignation of Emily Thornberry over her tweeted image of a white van and St George Flag from Rochester – was not really a scandal at all, but a grotesque over-reaction by Miliband and his close advisers. At least that incident provided a moment of excitement. If anything, Labour has not been accident-prone enough: its front bench is a bit too stale, dull – and, paradoxically, inexperienced. Heavyweight baggage is provided by just three pre-1997 veterans: Harriet Harman (an MP since 1982) , Angela Eagle (an MP since 1992), Jon Trickett (an MP since 1996). Every other member of the shadow cabinet became an MP in 1997 or later: even Hilary Benn and Andy Burnham, who entered parliament in 1999 and 2001 respectively. Douglas Alexander and Ed Balls may seem like founder members of New Labour, but both became MPs after the 1997 landslide (Alexander at a by-election in November 1997 and Balls as recently as 2005). Eight members of the shadow cabinet only entered parliament in 2010 or later. Like them or loathe them, there are now no colourful personalities like John Prescott, Peter Mandelson, Peter Hain, Hazel Blears or David Blunkett on the Labour frontbench . Labour may have fared better in the last five years if its front bench has been more off-message. None of the new generation – Chuka Umunna, Rachel Reeves or Emma Reynolds – have fully found their own voice yet. But for such an inexperienced team they have been remarkably disciplined, loyal and steady at the helm. Gaffe-prone they are not. Comparisons have been drawn between the election this year and the last time an incumbent Conservative-led government was running for re-election: 1992. The polls are certainly even closer this time than in the 1992 campaign. Ed Miliband has, with some justification, been likened to Neil Kinnock (an honourable man who was, ultimately, better at holding his party together than persuading the British people that he should be their prime minister). Just as in 1992, the Liberal Democrat vote in 2015 is being squeezed between the two main parties. Although the reasons for the Lib Dem fractiousness in 1992 (the recent implosion of its alliance with the defunct SDP) were very different from the coalition bruises nursed by the Lib Dems now, the end result may be similar: the Lib Dems declined to a disappointing 20 seats in 1992 and may well do so again this time. But there the similarities end. Firstly, the Lib Dems today face a decline from a much higher base (57 seats, compared to 22 Lib Dem seats held in the run up to 1992). Secondly, in 1992 nationalist parties in Scotland and Wales were almost irrelevant: the SNP won just three seats (fewer than Plaid Cymru, which won four). Thirdly, UKIP did not even exist in 1992. In 2015 Labour and the Tories can count on about 200 safe seats each, with about 200 other seats that can loosely be termed marginal, of which only 50 might actually change hands – again, pretty much the same as in 1992. But the location of these safe seats is very different this time round. Of course, Labour in 2015 cannot really consider any of its Scottish seats safe. But the political landscape has also changed utterly in England and Wales since 1992. Many of 1992’s marginals have become today’s safe seats, and the other way around. In effect the battleground in 2015 has shifted northwards, away from London and the South (where Labour-held seats have become safer, and most seats that are not Labour-held are increasingly seen as unwinnable) and into the Midlands, Yorkshire, the North-west and, of course, Scotland. What’s really striking, as an analysis on the Road to 326 blog shows, is that some of the urban seats that Labour won narrowly in 1992 (most of which been held by the Conservatives since 1979), are now very safe Labour seats: Lewisham East and West, Walthamstow, Streatham, Dulwich and West Norwood, Stockport, Wallasey, Barrow, Birmingham Northfield, York, Bristol East, Nottingham East and South for example. In 1992, the fifth most marginal Labour-won seat in the UK was Ilford South (won by a margin of just 402 votes): by 2010 it had become one of London’s safest Labour seats, held by a majority of more than 11,000. Greenwich, won by Labour from the SDP in 1992 by just 1,300 votes, is now almost as safe as Ilford South. And three other London seats that stayed Tory in 1992 and weren’t won by Labour till 1997 (Mitcham and Morden, Ealing North and Brent North) are now almost as safe: all have Labour majorities of over 7,000. But many, less urban seats which Labour won in 1992 (Warwickshire North, Pendle, Kingswood, Nuneaton and Ipswich for example) were won back by the Conservatives in 2010, some quite comfortably (the Conservative majorities in Pendle and Kingswood were about 3,000 in 2010: quite a lot for supposedly “marginal” seats). Cambridge – which Labour won by 500 votes in 1992 – was lost by Labour back in 2005 (in 2010 Labour came third there, behind both the Lib Dems and Tories). There’s even one seat – Crewe and Nantwich – which had been Labour all the way from its creation in 1983 until a 2008 by-election, but which stayed Conservative in 2010 by a good 6,000 votes. 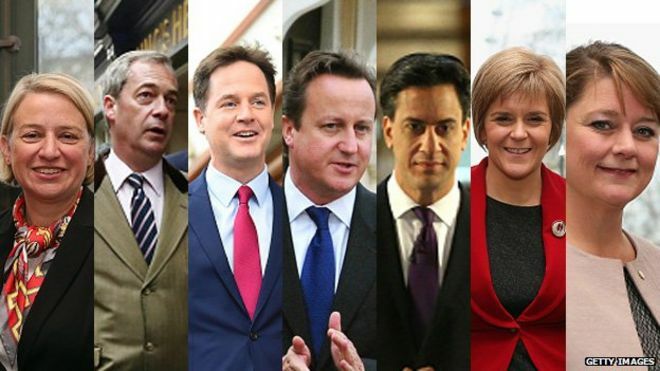 They may all remain out of Labour’s reach in 2015. Only a small number of seats that were marginal in 1992 remain genuinely marginal in 2015. The most winnable for Labour are mostly in the north (Rossendale and Darwen, Dewsbury, Halifax and Warrington South for example) while those in the south (Southampton Itchen, Thurrock, Ipswich, and Hampstead and Kilburn for example) are seats where the Tories may well survive (thanks to UKIP in some cases), or win the seat back from Labour. To view the 2015 election as a re-run of 1992 understates the Labour party’s challenges: outside big cities like London, Leicester, Birmingham and Bristol, Labour was virtually wiped out across southern England and the Midlands in 2010 (the only other seats that Labour holds in the southern half of England are in Plymouth, Exeter, Southampton, Oxford, Slough and Luton: eight seats in total). In 1992 Labour also won in big eastern towns like Norwich, Ipswich, Thurrock and Cambridge, none of which elected Labour MPs in 2010 (there are four seats that Labour didn’t win in 1992 but held in 2010 – Exeter, Slough and the two Luton seats – but these are exceptions to the rule, where demographic and boundary changes have helped Labour). Labour faces more of a challenge to win these lost seats back in 2015 than it did in 1992, because of demographic trends. The population of most of these southern and Midlands towns is now older, more owner-occupying, more white-collar, and more distrustful of Labour’s record on the economy, immigration and welfare than they were in 1992: all factors that make Labour’s task in winning them in the 2015 harder. Since 1992 Labour’s vote has become even more concentrated in urban constituencies – almost all of them in London and the North – and has slumped in rural areas and market towns of the south and Midlands, many of which are not priorities for Labour in 2015. Labour’s list of 106 target constituencies may at first glance seem very ambitious, but so bad was Labour’s defeat in 2010 that the list does not include several constituencies that Labour held until 2010 (Dartford, Gillingham, and North-East Somerset for example). Many, many seats that Labour held until 2005 are also missing. To win outright in 2015 Labour faces even more of an uphill battle than it did in 1992 (an election in which the SNP did not pose any real threat). Labour can only win if the Tories fare even worse in England than Labour does in Scotland. Likewise, the Tories will struggle to win outright even if Labour does suffer a catastrophic loss of seats in Scotland: there just aren’t enough Labour-Tory marginal seats to compensate for the Tories’ long-term decline in urban areas. All these key factors – the Tories’ decline in ethnically mixed suburbs, the SNP threat, and Labour’s collapse in Scotland – hadn’t even been dreamt of in 1992. Even the party’s manifestos – with the Tories promising to spend most on the NHS, Labour saying that the Tories are now the party of fiscal irresponsibility, the Greens promising to match the Tories’ non-nuclear defence spending plans – would make any time traveller from 1992 fall over in amazement. In Northern Ireland the Ulster Unionists’ priorities in 2015 are more money for mental health treatment and integrated schools as “a virtual inoculation against sectarianism” – both policies that must have the UUP’s leader in 1992, the late Jim Molyneaux, spinning in his grave. Everyone’s obsessing about Labour’s possible loss of 30 or 40 seats in Scotland – and rightly so. Losing so many Scottish seats would be devastating. But it would be still less than half Labour’s net losses in 2010 (90 seats). And it’s not unusual for a single party to lose dozens of seats in one region in an election. In 1997, the Conservatives lost 25 seats in the south-east of England and 30 in London. (Although both regions’ population is somewhat higher than Scotland, the proportion of seats that changed hands is similar to what is forecast in Scotland this time round). What short memories the media have. It’s even possible for a political party to sustain such losses and still win the general election outright. In 1992, the Tories lost 39 seats nationwide but still won the election, with the highest number of votes ever cast for a single political party. Labour’s losses in Scotland are really no bigger than the losses Labour would have sustained if sweeping boundary changes, proposed in 2011, had gone ahead: the respected psephologist Lewis Baston has forecast that had the boundary changes gone ahead, 20 marginal Conservative seats that Labour will probably win in May 2015 would have become unwinnable, reducing Labour’s majority over the Tories by 40 seats or making such a majority impossible. Forget about Scotland – the boundary climbdown may yet save Labour’s bacon. The loss of 40-odd seats in Scotland may well make it impossible for Labour to win the 2015 election outright, but Labour may still end up as the largest party in a hung parliament. Losing 40 seats in Scotland to the SNP – a potential supporter of a minority Labour government – is a lot less damaging than losing 40 seats in England or Wales, most of which would be picked up by the Conservatives. Besides, it’s not inevitable that a surge in the number of SNP MPs means that an increase in devolution to Scotland, or an independence referendum, will follow . In February 1974 the number of SNP MPs jumped from one to 7, and then jumped again from 7 to 11 in October 1974. These SNP MPs secured a devolution referendum in 1979 – but its terms were so awkward that even though a majority of Scots who voted said Yes, there was no devolution as Yes voters amounted to less than 40% of the electorate. Eighteen years of Tory rule, during which Scottish devolution stayed firmly off the agenda, followed soon afterwards. Current polls predict that the Lib Dems’ current tally of 57 seats will be reduced to between 20 and 28 seats. This is presented as a catastrophic decline that could finish off the Liberals as a credible political force. But this doesn’t look back any further than the last decade of Lib Dem support. The Liberal Party won between six and thirteen seats at every election between 1945 and 1979. But within less than twenty years the number of Liberal MPs – in various guises – more than tripled. The Liberal-SDP Alliance won 23 seats in 1983 and 22 in 1987. In 1992 the Lib Dems won just 20 seats. In 1997 they won 46. End of story. If anything, the Lib Dems winning about 25 seats on a 8% vote share (as many polls currently predict) could be seen as a triumphant success, not a disaster. In 1983 the Alliance won just 23 seats with a vote share of 25%. Since then, the Lib Dems have professionalised and learnt to live with the UK’s iniquitous first-past-the-past voting system: concentrating their resources in seats they can win, and then ruthlessly pressing home their incumbency advantage once they do. If the Lib Dems do keep more than 20 seats on a vote share of less than 10% it’ll show that they can still bounce back in subsequent elections. Only if the Lib Dems are reduced to fewer than 20 MPs – back to the numbers they had in the mid-1990s – could their long-term future be questioned. And even 20 Liberal MPs would be above the post-war average. No it isn’t. Yeah, all the parties have fancy websites that allow you to type in your name and postcode and then receive a standard manifesto headed “This is a manifesto for Britain and for you, Alex”. Big deal. Parties have yet to understand that social media is a two-street, not just a way of sending spam email to supporters begging for money. The new clichés of election campaigns – Selfie shots of candidates surrounded by smiling campaigners, sectarian Tweets and Facebook “likes” – aren’t really that different from their pre-digital equivalents: window posters, rosettes and leaflets piling up on the doormat. There’s a lot of discussion about how older people hold too much electoral sway, thanks to their tendency to turn out to vote – but very little about the failure of the Internet to mobilise the young to vote tactically. There are a few online gimmicks cooked up by political parties , such as I’ll Vote Green if you Do. But there’s nothing like the non-partisan moveon.org phenomenon in the United states that did so much to secure Obama’s victory in 2008. Thanks to the internet, it is now easier for younger voters to organise, share ideas and put pressure on political parties that at any time since the dawn of universal suffrage a century ago. Yet the May 2015 election looks set to be a business-as usual election which is just as skewed to the needs of the fast-retiring baby boomer generation, not their children and grandchildren. 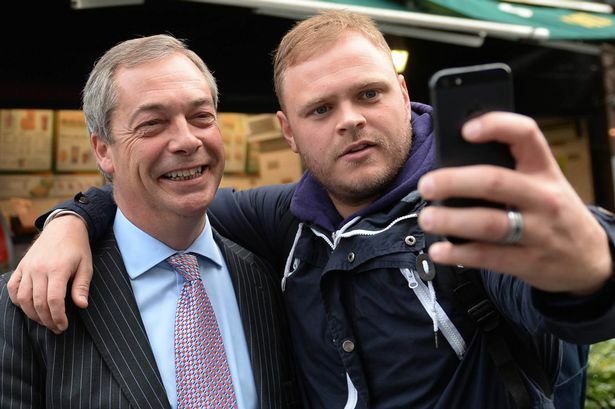 If the election results in a centre-right coalition rather than a centre-left one, it could be the internet – or its failure to mobilise left-leaning younger voters – that’s really to blame, as much as the voters themselves. What should the media be talking about, instead of recycling these hoary old clichés? There’s hardly any discussion over the difficult issues that will be at the top of the Government in-tray whoever wins: another round of public spending cuts, how to deal with House of Lords reform, how much power to devolve to the English regions, and Heathrow expansion. Above all, there’s hardly any discussion of the new rules on electoral registration, which have potentially disenfranchised a million poor, urban, mobile (and therefore Labour-leaning) voters, and in particular students (also Labour-leaning since the Lib Dems’ u-turn on tuition fees). In the good old days you just filled in one form for all members of a household, but now you have two – one for the household and then another to be filled in by each individual living in it. A process that is complicated and confusing for those who have already registered to vote is completely bewildering for those who are registering for the first time, the elderly, or people who do not speak English as their first language. If Labour loses, expect lots of blame to be laid at the door of these rules – which will make it all the more surprising that there was so little discussion of them beforehand. What a pity that so much of the media has spent the campaign recycling old clichés that have knocked round since the 1990s, rather than listen carefully for new tunes. The current deadlock in the polls does not result from a collapse of the two-party hegemony, a pro-Labour bias in the constituency boundaries, or because we’re living through an action replay of 1992: it’s simply that no party seems able to win more than 35% support. This entry was posted in Uncategorized and tagged Conservatives, Elections, History, Labour, Lib Dems, Politics, Scotland. Bookmark the permalink.